Too Darn Hot is where I want him right now and he's done some easy pieces of work on the Al Bahathri Polytrack of late. The plan is to take him to the Greenham for a trial and there are no plans to take him for a racecourse gallop beforehand. Calyx has had a good winter and is cantering away at present but he's had a long layoff and we'll let him tell us when he's ready to step it up. Almashriq was held up last year with various things but he won well at Newcastle and is a horse we've always liked. Azano is in good form right now and the plan is to take him to the Free Handicap. The others have entries but are only possibles. Persian King has done well and I’m happy with him. He's a big horse and he’s been free of any problems. The Prix Djebel is the one race he's sure not to run in. The English Guineas is a second or third choice for him, just in case the race cuts up and the good horses don’t make it. 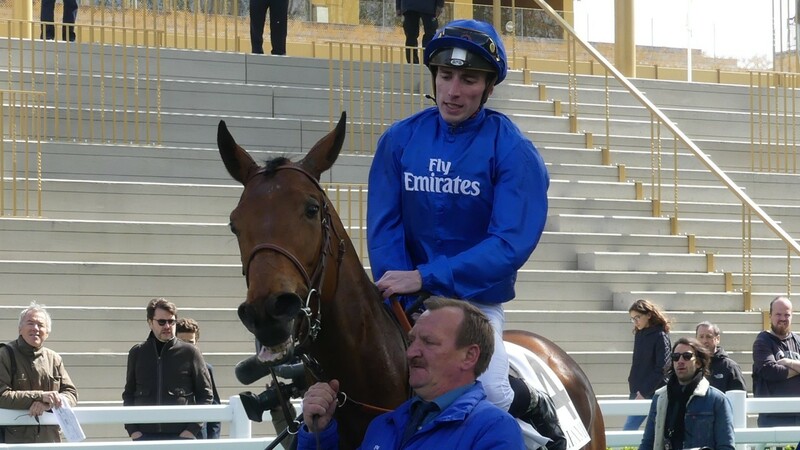 But he is more likely to run at Longchamp and he will even be entered in the Prix La Force just in case. We don't know if he's a Guineas horse but he's done well over winter and the plan is to start him off in the Craven Stakes which will tell us more. We had hoped to have given him another run at the backend but the ground went against us. Zalouski won his maiden on the all-weather over seven furlongs at Kempton nicely at the backend and has wintered well in Newmarket. He's a nice type and the plan would be to start him off at the Craven meeting either in the Craven itself or the 7f conditions stakes to see if he's a 2,000 Guineas horse. Line Of Duty progressed well last year and won the Breeders' Cup Juvenile Turf on his last start. He's currently wintering in Dubai and the plan is to take him straight to the 2,000 Guineas. Jash has done well physically over winter and he is coming along nicely and the plan would be to take him to a trial, possibly the Greenham. He's only ever run over six furlongs and his trial will tell us a bit more trip-wise about him. He won his maiden over six furlongs on his debut at Yarmouth last September and is a horse we have always liked. We were going to run him again but the ground went against him. The plan is to take him to the Greenham where we will find out a bit more about whether he's a miler.